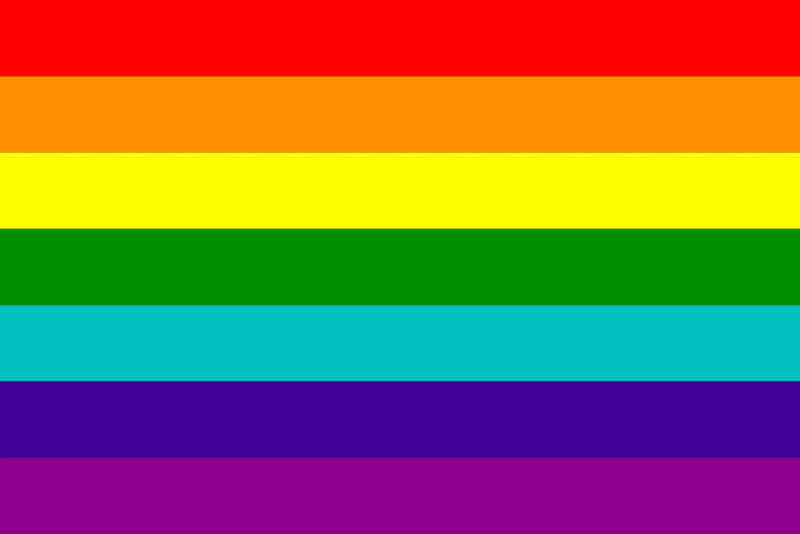 Most Catholics are aware that the homosexual movement has co-opted the rainbow for their perverted and sinful movement. 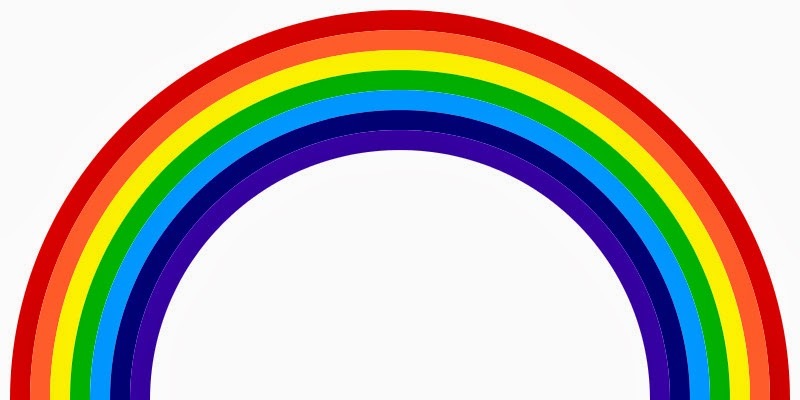 God sent Noah the rainbow as a symbol of the covenant He made, “with Noah, and through Him with all mankind, that He would not waste the earth or destroy man by another deluge.” The sin of homosexuality, which cries out to Heaven for vengeance, and its associated groups of deviant sexual behaviors are not the only ones to have inverted the rainbow. The other group, which is not as well known to most, are the Noahides. For those unfamiliar with Noahides, their rabbinical masters, and the seven Noahide Laws they expound as the foundational basis of civilization and law, here they are — The laws are prohibitions against: 1) Idolatry; 2) Blaspheming and cursing the name of God; 3) Murder; 4) Robbery and theft; 5) Immorality and forbiden sexual relations; 6) Removing and eating meat from a live animal (cruelty to animals); and 7) The establishment of a justice system and courts of law to enforce the other six laws. They sound good but are not as we shall see shortly. 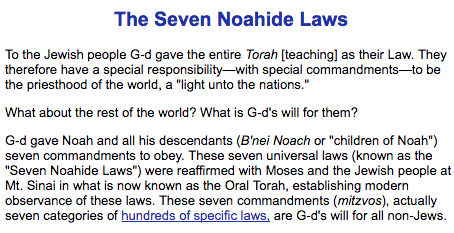 For a further explanation on how the Noahide laws are not Biblical but Talmudic and are anti-Christ see, Michael Voris’ Church Militant promotes the seven noahide laws. What does the rabbi state about the laws? source: Vatican, Jerusalem Cross magazine, interview with Belgian Rabbi David Meyer, lecturer at the “Cardinal Bea” Center for Judaic Studies at the Pontifical Gregorian University, pp. 23-4. What does a Noahide or Hasidic gentile have to say about them? What information is contained in the Jewish Encyclopedia about them? 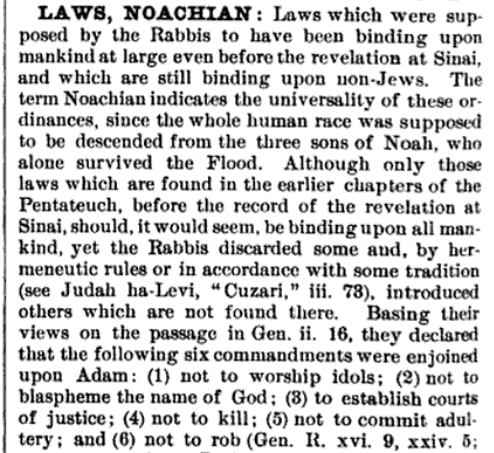 source: The Jewish Encyclopedia (1916), Volume 7, entry — LAWS, NOACHIAN, pp. 648-50. 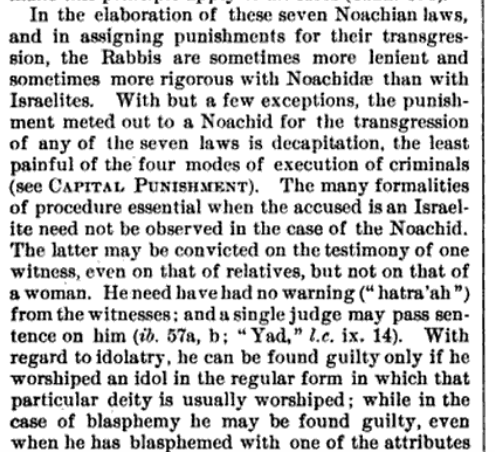 Wow, so having just read above that punishment for transgressing any of the seven Noahide laws is death by decapitation, what’s the Vatican’s position regarding these laws? source: Vatican, The Delegation of the Holy See's Commission for Religious Relations with the Jews and the Chief Rabbinate of Israel's Delegation for Relations with the Catholic Church. Bilateral Commission Meeting Jerusalem, March 11-13, 2007; Adar 21-23, 5767. 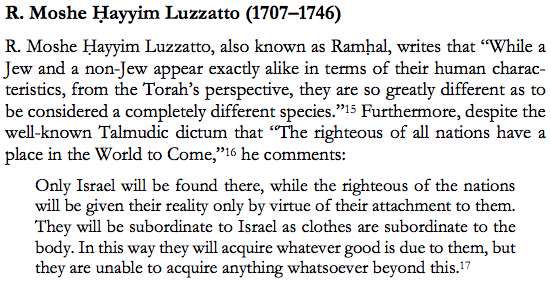 The various advocates, whether they are rabbis or gentiles, who promote these laws will quote Maimonides (Rambam) that gentiles will merit a share in the world to come, as if its a good thing. So what exactly is this “share in the world to come” which the Noahide laws following gentiles will receive? Thanks to the research of MauricePinay and Rodeferous on twitter, we have the answers. source: The Soul of a Jew and the Soul of a Non-Jew An Inconvenient Truth and the Search for an Alternative by Hanan Balk, p. 50. Got that? They, the Noahides, get played as even though they appear like a Jew physically, they don’t possess a soul, and the only reward they receive is being subordinate to Israel! source: Rabinical Literature: Or, The Traditions Of The Jews, Contained in Their Talmud and Other Mystical Writings, Volume 2, p. 10. The Noahides after rejecting Jesus the Christ as their Savior (else they be beheaded for idol worship) and enjoying the reward of being subordinate to Israel during their lives proceed like all human beings to die where they (Noahides) will inherit Hell! The fact that the Vatican advocates the Noahide laws as being reflected in the Old and New Testaments is a macabre joke of absolute mockery. 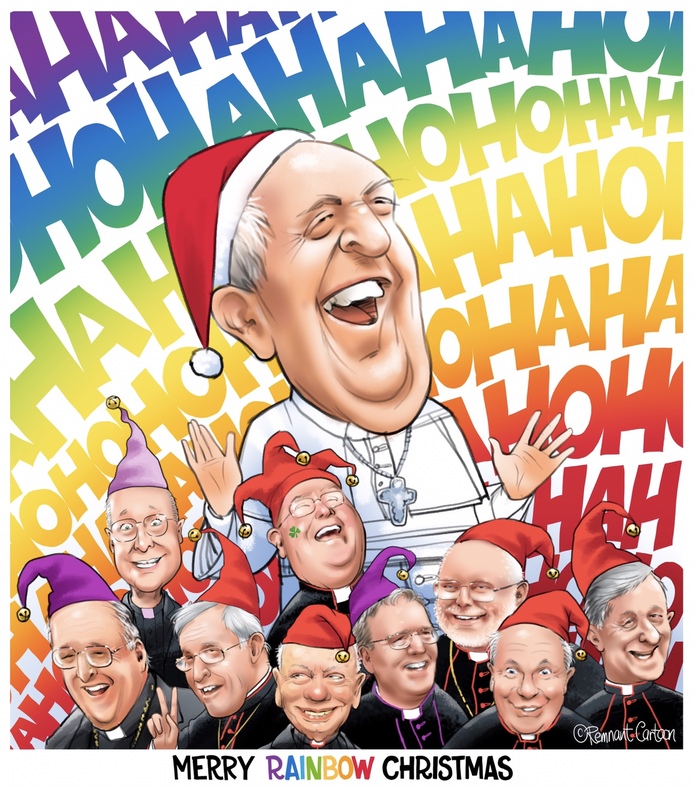 The RemnantCartoon above, takes on a whole new meaning — portraying jesters having an inverted occult laugh at your expense. Is it any wonder that this past year’s Nativity scene in St. Peter’s Square was scattered, disoriented, sacrilegious, and focused on the nakedness of adult and infant males? 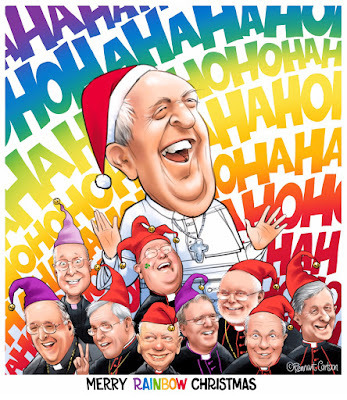 Francis and his cohorts are simply reflecting the spiritual emptiness which results from abandoning Jesus the Christ as they help to bring about the implementation of the Noahide laws. The Noahide Laws will be imposed through war... with the battle cry of "I call upon you in peace!" The Incans called. They want their flag back. This is the end result of Protestantism, of reading the Bible without guidance and of reading whatever one wishes into the Bible. 10 Now therefore why tempt you God, to put a yoke upon the necks of the disciples, which neither our fathers nor we have been able to bear? 28 For it hath seemed good to the Holy Ghost and to us, to lay no further burden upon you than these necessary things: 29 that you abstain from the things immolated to Idols, and blood, and that which is strangled, and fornication, from the which things keeping your selves, you shall do well. Fare ye well. 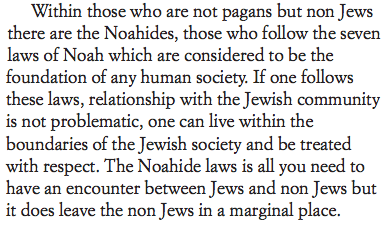 In no way does this passage, or any part of Acts 15, affirm or support the Noahide laws. The abstentions listed simply mark the person as a Christian rather than a pagan; they are a rejection of paganism. The commentary in the Ignatius Catholic Study Bible New Testament, page 232, states that Acts "requires Gentile converts to observe a minimal code of religious purity - abstinence from idol foods, sexual immorality, and the consumption of blood in meat or by itself (15:23-29)." The observance of this code is naturally a rejection of their former paganism. Jews might claim that Acts requires modern Christians to avoid consumption of blood. However, even if this were true, it would be irrelevant; it could not logically imply that a Noahide code exists or should be practised. Certainly, Christians are not bound by "seven mizvot" of modern Judaism, or Talmudism, which is not even the religion of the Old Testament. Rabbis, unsaved preachers of an invented religion, are not the masters of Christians. A portent of bad things to come?